P's and Q's are an innovative oral motor device designed to provide a resilient, non-food, chewable surface for practicing biting and chewing skills for children and adults. Intended for individual use, The Super Chews are non-toxic, latex free and lead free. In addition they do not contain PVC or phthalates. 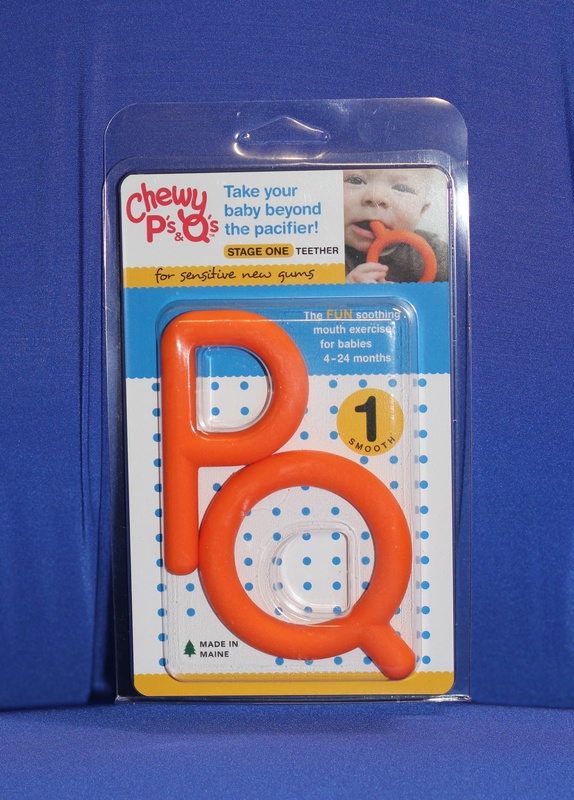 P's and Q's are solid rather than tubular so they offer a firmer surface for biting than the red or yellow Chewy Tubes. Young patients enjoy grasping the P with their newly developing fine motor skills. The biteable stem of the P reaches back into the molar region sending appropriate proprioceptive input into the TMJ as the patient practices biting. Babies enjoy the Q extension for tongue exploration. For larger jaws, the larger Q offers a firm bilateral surface for jaw closure activities.